The Odyssey was written by Homer about 2700 years ago. It tells of the adventures of the Greek hero Odysseus (Ulysses in Roman mythology) during his harrowing return to Ithaca after being away for twenty years, ten of which he had spent fighting the Trojan Wars. In one part of the journey, Odysseus is aware that he is about to encounter the sirens, famous for luring sailors to their death with their beguiling wind-like song. Intensely curious to hear them, he has all his sailors plug their ears and tie him to the mast, with instructions not to untie him, no matter what he says. As they approach, the sirens begin singing and Odysseus screams to be untied, but the sailors can’t hear him and they are all saved. According to some versions of the myth, the sirens are fated to die if sailors were to hear their song and escape. So after Odysseus’ ship passes by, the sirens fling themselves into the sea and are drowned. This piece suggests this dramatic encounter. If you listen carefully, you can hear the wind-song becoming evermore insistent, the rocking of the ship, Odysseus’ screams, and finally the sirens plunging to their death. It might also be mentioned that sirens are still found in our stories today. Perhaps most recently, the Marvel Comics superhero “Siryn” (associated with the X-Men) is an Irish mutant that possesses a “sonic scream.” And the term “siren song” still refers to an appeal that is hard to resist but, if heeded, will lead to disaster. Finally, as part of the American Composers Forum’s BandQuest commission that supported the creation of this piece, the composer worked with the Boynton Middle School Concert Band, which also happens to live in Ithaca (though this one is in New York). 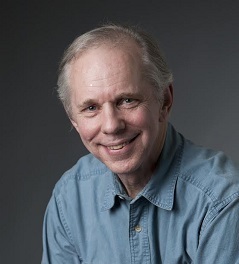 The works of Dana Wilson have been commissioned and performed by such diverse ensembles as the Chicago Chamber Musicians, Detroit Chamber Winds and Strings, Buffalo Philharmonic, Memphis Symphony, Washington military bands, Netherlands Wind Ensemble, Syracuse Symphony, and Tokyo Kosei Wind Orchestra. Solo works have been written for such renowned artists as hornist Gail Williams, clarinetist Larry Combs, trumpeters James Thompson and Rex Richardson, and oboist David Weiss. He has received grants from, among others, the National Endowment for the Arts, New York Foundation for the Arts, New England Foundation for the Arts, New York State Council for the Arts, Arts Midwest, and Meet the Composer. His compositions have been performed throughout the United States, Europe, and East Asia. They have received several awards, including the International Trumpet Guild First Prize, the Sudler International Composition Prize, and the Ostwald Composition Prize; are published by Boosey and Hawkes, Ludwig Music Publishers, and Dorn Publications; and can be heard on Klavier, Albany, Summit, Centaur, Innova, Meister Music, Elf, Open Loop, Mark, Redwood, Musical Heritage Society, and Kosei Recordings. This piece was premiered May 8, 2008 by the Boynton Middle School Concert Band in Ithaca, New York, under the direction of Michael Allen.